Arbor Glen is currently offering tours of the community’s great one, two and three bedroom apartment homes. These centrally located apartments in North Lakeland, FL offer access to some of the area’s best shops and restaurants, as well as immediate access to Interstate 4. For all of your one-stop shopping needs, Replace with content for Lakeside Village. If you need to stop by the grocery store, swing by Publix Super Market at Plantation Square. Offering up only the freshest produce and premium cuts of meat, Publix is the place to go whether you are cooking for yourself or for an entire party. You can satisfy your inner thrill seeker with a trip down to Harley-Davidson-Lakeland. Allow their friendly staff to set you up with the motorcycle of your dreams at a price that you can afford. For a quieter entertainment experience, visit the Polk Museum of Art or Polk Theatre. 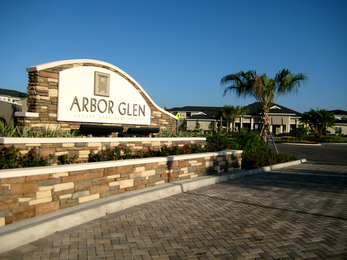 Arbor Glen Apartments in Lakeland also offers unique access to a variety of different restaurants. If you are in the mood for some truly amazing Mexican food, look no further than Mega Mercado. Mega Mercado makes their authentic dishes right before your eyes to ensure that you get a perfectly prepared dish every time. Nothing beats a classic pizza pie from Palace Pizza. This classic pizzeria serves classic and creative dishes, including wings, sandwiches and salads. For all of your sushi cravings, look no further than Mizu Japanese Steak House and Sushi. The handcrafted rolls at Mizu feature the freshest ingredients for a unique dining experience that you will not soon forget. Come experience this remarkable Lakeland community for yourself. Schedule your own personal tour at Arbor Glen today.